Welcome to Rover Tours! We are pleased to announce that we are offering 2 different regularly scheduled tours in 2018. The Carolina Rover, our shaded 40 ft. pontoon boat, will take you either on the Shellling & Lighthouse Cruise to North Island OR to Hobcaw Barony on the Historic Hobcaw Barony Cruise & Hobcaw House Tour. 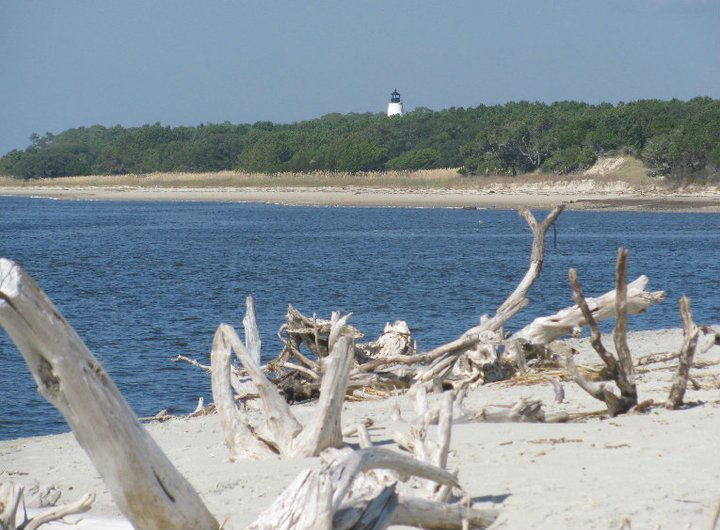 Join Rover Tours for a 4 hour cruise through a bird-watcher's paradise by South Carolina's oldest lighthouse, the Georgetown Light (1811), that lit the way for two centuries of seafarers. You will then be able to explore and beach comb where the sea unfolds her secrets, depositing an ever-changing array of shelling opportunities. This three hour tour cruises up the Winyah Bay toward the Great Pee Dee River, giving view to majestic oak trees and the abandoned rice fields of Hobcaw Barony, to tour Bernard Baruch's winter hunting retreat. Step aboard in Georgetown and travel back in time to Hobcaw Barony pier where you will disembark to begin your one hour tour of the Hobcaw House, built in 1930 high above the Winyah Bay. After viewing the majestic Hobcaw house your cruise will continue over to view the smokestack of the USS Harvest Moon, a Civil War Flagship of the South Atlantic Blockading Squadron (1864-1865), resting on the dregs of the Winyah Bay for more than a century. An email confirmation will be sent to you upon completion of your purchase, (check your junk mail or spam folder because we are not in your contacts) it will tell you where we are located, what time to be here, where to park, and what to bring. Please call, (do not Email, text message, or Facebook message us) if you do not receive the email, to insure your purchase was processed. *Please book your reservations early, as space is limited on each tour. When booking online, if the trip you desire is sold out, please call to be placed on our wait list. There are cancellations, occasionally.